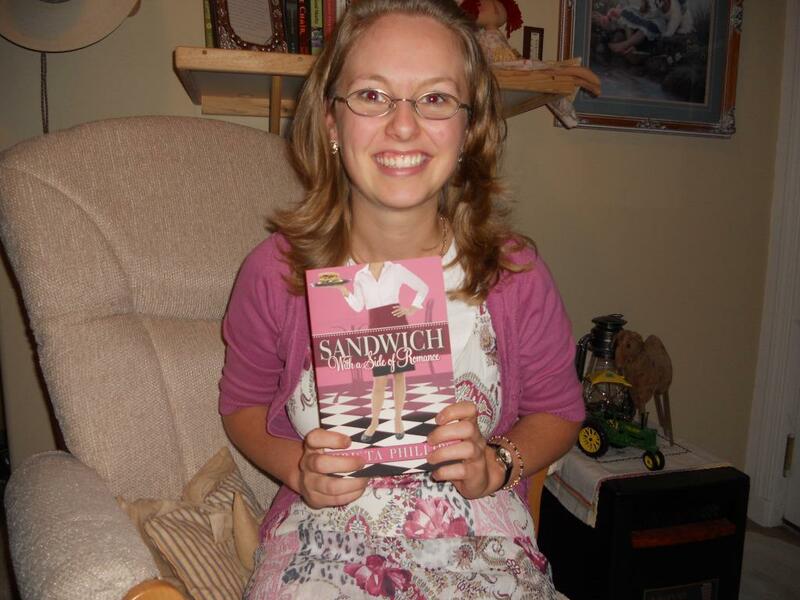 Jessica from IL with Sandwich! *gulp* It’s an exciting yet humbling experience as an author to know that “people” are reading the book I poured much of my blood, sweat, heart, and yes, even tears into. Since “release” day, I’ve spent a ridiculous number of hours pouring myself into trying to figure out ways to get my book into the hands of readers. Without readers, an author is, well, broke for one thing, HA HA HA! But really, for me, I don’t write for myself. I write for Jesus, and pray that those who read my novels will be encouraged and challenged and entertained. Readers are key to that equation. So today… I celebrate YOU, the reader!!! Some authors don’t read reviews to protect themselves, both from big heads and big blows. I’m not one of those. I enjoy knowing what people liked about my book. And it IS helpful to hear the constructive criticism as well. There were quite a few GOOD reviews that noted about a particular scene I left out of the book. I’d left it out on purpose, but looking back, I can totally see what they are talking about. No writer is perfect. We ALL have ways we can improve. And on the flip side, it’s nice to know what people are enjoying so I can make sure I “keep it up” in future books! AJ… reading a backwards version, HA! Now… what’s a celebration without a few door prizes, hmm? To celebrate YOU, and in a nod to the upcoming holiday season, I’m giving away…. In total it’s a $75+ value! special! Or, if you just want an autographed copy, that’s cool too! I’m trying something NEW! I’ve added something called a RAFFLECOPTOR to manage the giveaway. You’ll have THREE ways to get entries, and the rafflecopter will help guide you through!!! HELP! 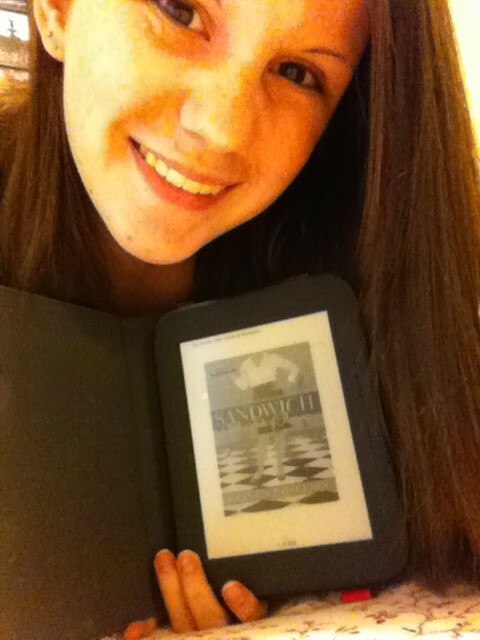 I haven’t read Sandwich yet! 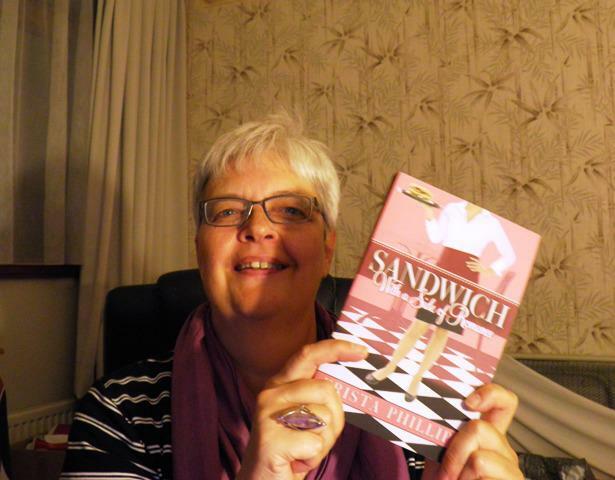 Yes, this giveaway is for Sandwich readers (one of the requirements for entry is to tell your favorite scene/line from Sandwich!) BUT!!! You have almost TWO WEEKS to enter, so if you haven’t gotten a chance to read it yet, now’s a fabulous time! You can enter up until end of day, Saturday, November 24th. OR... another GREAT resource (as I know money is tight for a lot of us) is your local library! 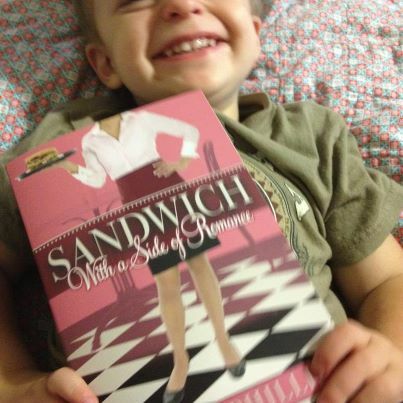 MANY libraries are carrying Sandwich, so that’s a great option for you as well. If they don’t carry it, ask them to! Since the book was reviewed in the Library Journal, most libraries either already carry it or have no problem ordering it in. THANK YOU, dear reader, for allowing me to share my story with you! Lifting my glass of sparkling grape juice to you, hoping for many more in the future, and praying for God to use each word for HIS glory. I am currently reading the book! Great job so far, Krista! Yeah! hope you enjoy it, RaeAnna!!! I need to leave a review in some places. I really, really enjoyed your writing and your characters! 🙂 Don't enter me in this giveaway, but I'll tweet about it. LOL. Who me?? Bargain at a garage sale??? Never…. Want to read this book. Hopefully, this will be my chance!! I preordered the book from Amazon so I've had it for some time … but I haven't read it yet. I know … shame on me! I've had god intentions; however, I 've been letting my books from the library take priority. Now, I have to read it! I've been thinking of giving your book as Christmas gifts to a few family members. It would be great to have an autographed copy to give. 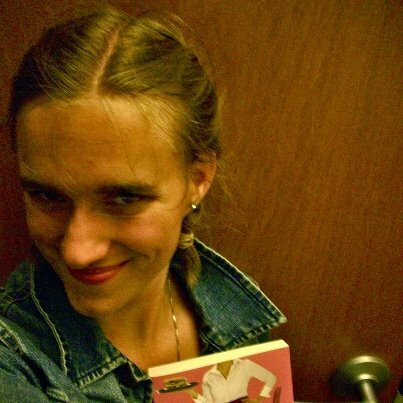 Also, I did request our library to order your book and they did! Maybe that wil linspire more readers to buy your books. I haven't had a chance to read this yet, but this book is on my next to read list! I can't wait to ready it! Maggie's new faith and her prayers that were sometimes funny is what tugs on your heart. The prayers are real and that is how she expresses herself. I say you go Maggie! I think my favorite part from the book was when Maggie threw herself on top of Reubens car and demanded that Rueben tell Judy the truth about him falling asleep. Shows she was a determined young woman. I live in Long Island, NY and though I had preordered your book I had not gotten around to reading it yet so when Hurricane Sandy hit and we had no heat or power for a week I spent two nights reading it by flashlight while snuggled under a big blanket. The "don't give up" theme called out to me that week. Thanks for helping me through a tough week Krista. 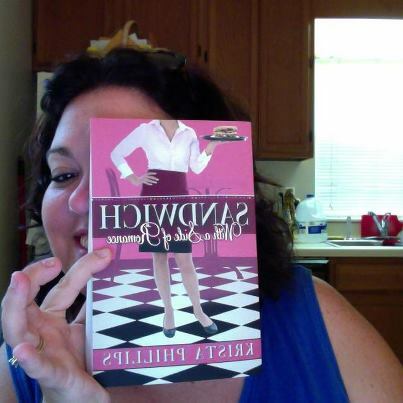 I loved the scene where she spilled the lunch…reminded me of my waitressing days. I actually did that. I loved the Callahans. They were so accepting of Maddie from day one. They were always gracious and never questioned her past or judged her. They inspired me! I meant to say the Luthers, not the Callahans. Sorry, it's been a while since I finished the book! I have several scenes I love. My first favorite scene was when Sarah and Maddie meet in the bathroom of the McD's and the subsequent meeting between Maddie and Sarah's mom, Allie. We all need a friend like Allie! I don't have a FB or Twitter account yet. If I get one before the contest is over, I'll be sure to post/tweet about your book. Ooh. Okay, I have put a copy on hold at the library and hopefully it will come in and I will find time to read it before the contest is over so I can enter. I have enjoyed reading everyone's comments though. It's a lot of fun to get a little sneak peek. It came in early and I was able to take it with us for Thanksgiving. This was great except I wasn't the best company lost in my book. It was all so good, but I think one of my favorites is when you she throws the money at him and tells him she quits. And I love the questions at the end too! In generally, I just love the entire story line and how well the characters mesh together. It is a beautiful story! What a fantastic giveaway! I thank you for it! But choose a favorite part? Is it possible for one to do this? Well alright my most favorite part would have to be when Maddie was finally able to accept Reuben's love. It was great to see her evolve from a woman who distanced herself from other men besides her brother. It just really made me happy to see her finally allow God to change her view and accept love and help from others. Great job Krista! Will this be the last time we see Maddie and Reuben?! One scene I remember is the hair-cutting fiasco!